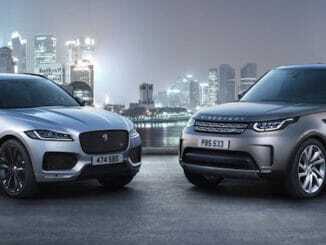 Jaguar Land Rover today reported June 2018 US sales: Land Rover had its best June sales month ever with 6,982 units, an increase of 21 percent from 5,760 in June 2017; Jaguar sales were 2,353 units, a 20 percent decrease from 2,946 units in June 2017. Jaguar Land Rover total June US sales reached 9,335 units, a seven percent increase from 8,706 units in June 2017. For the first half of 2018, Jaguar Land Rover U.S. sales are up five percent to 59,566 units. We’re pleased to see Jaguar Land Rover finish the first half of 2018 with another monthly increase, driven by consumer demand for many of our models, including Discovery, Range Rover Velar and E-PACE. — Joe Eberhardt, President and CEO, Jaguar Land Rover North America, LLC. The Land Rover brand reached a new June sales high of 6,982 units, an increase of 21 percent compared to 5,760 units in June 2017, the previous best June sales. With sales of 1,955 units, the Range Rover Sport also set a new June sales record. Its sales in June were up 23 percent compared to 1,594 units, sold in the previous best June sales month in 2017. Offering new levels of refinement, elegance, and technology to the segment, the World Car Design of the Year winning, 2018 Range Rover Velar sold 1,363 units in June. The 2018 Land Rover model line-up features six models: The 2018 Discovery Sport and Range Rover Evoque compete within the compact SUV segment and both offer the option of either a 237-hp or a 286-hp turbocharged 2.0-liter gasoline engine. The full-size 2018 Land Rover Discovery offers seating for up to seven adults and exceptional levels of refinement, passenger technology, and driver assistance features. The Range Rover Velar mid-size SUV features a new design language for the Range Rover family, including new LED headlights and the all-new Land Rover InControl® Touch Pro™ Duo infotainment system5. The model starts at $49,9001. The 2018 Range Rover and Range Rover Sport model lines received a number of exterior, interior and powertrain enhancements adding to the desirability of the models. Within the full-size Range Rover line-up, Jaguar Land Rover Special Vehicle Operations introduced the SVAutobiography Dynamic. Based off of the long wheelbase SVAutobiography, the SVAutobiography Dynamic offers a driver-focused experience through a standard wheelbase, bespoke suspension and chassis tuning, a lowered ride height, and a specially tuned 557-hp supercharged V8 engine. 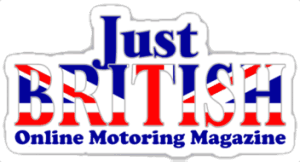 Both the Range Rover and Range Rover Sport model lines feature five powertrain options – a 254-hp turbocharged 3.0-liter V6 diesel, a 340-hp supercharged V6, a 380-hp supercharged V6, a 518-hp supercharged V8, and either a 550-hp supercharged V8 (Range Rover Sport) or 557-hp supercharged V8 (Range Rover). For the month of June, Jaguar sales were 2,353 units, a 20 percent decrease from 2,946 units in June 2017. The all-new electric Jaguar I-PACE goes on sale later this year. The newest member of the Jaguar family of SUVs, the E-PACE, had its best sales month ever with 355 units sold. The E-PACE is a five-seat compact SUV which packs the design and performance of a Jaguar sports car into a practical and connected all-wheel drive vehicle. Featuring two four-cylinder Ingenium gasoline engine options producing 246-hp and 296-hp, each mated to a ZF® 9-speed automatic transmission, the E-PACE is priced from $38,6001. The E-PACE follows the World Car of the Year-winning F-PACE performance SUV and the brand’s first all-electric SUV, the Jaguar I-PACE to round out the PACE family of SUVs. The award-winning Jaguar F-PACE continued to lead the brand performance with 1,093 units sold. Competitively priced within their respective segments, the 2018 Jaguar XE compact luxury sedan and the 2018 Jaguar F-PACE luxury SUV appeal to an all-new segment of buyers for the Jaguar brand. For the 2018 model year, the XE is available with three gasoline engine options, a 247-hp turbocharged four-cylinder, a 296-hp turbocharged four-cylinder, and a 380-hp supercharged V6. The F-PACE is available with the same powertrain line-up. Both vehicles are also available with a 180-hp turbocharged diesel engine, which returns 42mpg highway2 on Jaguar XE models and 33mpg highway2 on F-PACE models. 4 Always follow local speed limits.